This excel spreadsheet from the Heritage Fruit Co contains a list of their current stock, pages Row 1 and Row 8 being apparently the most relevant to us. Please let Andy Howard know on johoward@metro.net what you would like to order – some stock will also be available on the day. 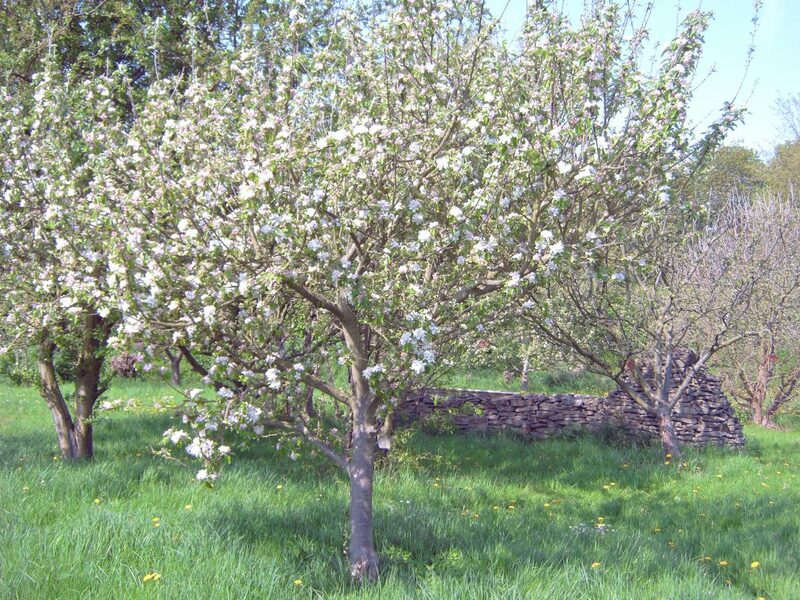 Andy Howard of the Heritage Fruit Company will be with us on the morning of 30th March selling his fantastic fruit trees and bushes, and talking on fruit management. Watch this space for further details and a stock list for ordering in advance. We need: helpers to join the team, gazebos, food donations, raffle gifts and anything you think would add to having a great day. The big white skip in the Children’s Allotment area behind our shop was paid for by that group and is for their use only. Please don’t dump rubbish in it. If you are responsible for the items already left in it and now in front of the shop please arrange to remove them from the site. Thanks. Happy New Year! It’s been good to see so many of you down on site getting things organised. Our neighbours at the Children’s Allotment (behind the EWAA shop) are having a winter warmer next weekend, please see details below and do offer them your support. We would like to let you know about our festive social event, which will be happening on Saturday the 15th of December from 3-5pm. We would very much welcome you to join us! We expect to welcome volunteers and members of the public onto the Children’s Allotment site for a bonfire and story-telling event. There will also be refreshments and games! During this time we may have the main gate open but will be monitoring people coming in (we are asking for a donation from non-allotment members for entry as we are fundraising for the project). If you’d like to find out more about what we are up to please come along and say hi! Alice and the Children’s Allotment team! The shop will be open this week and next, then we will take a break over Christmas and the New Year, re-opening on the 6th of Jan.
You’ll be wanting to be getting back to the allotment after all that indoor activitiy and in the nick of time the ODFAA seed potato day will also be on the 6th of Jan, 10.30 til 1.30 at West Oxford Community Centre with 60 varieties of potato and other fancy stuff for sale.